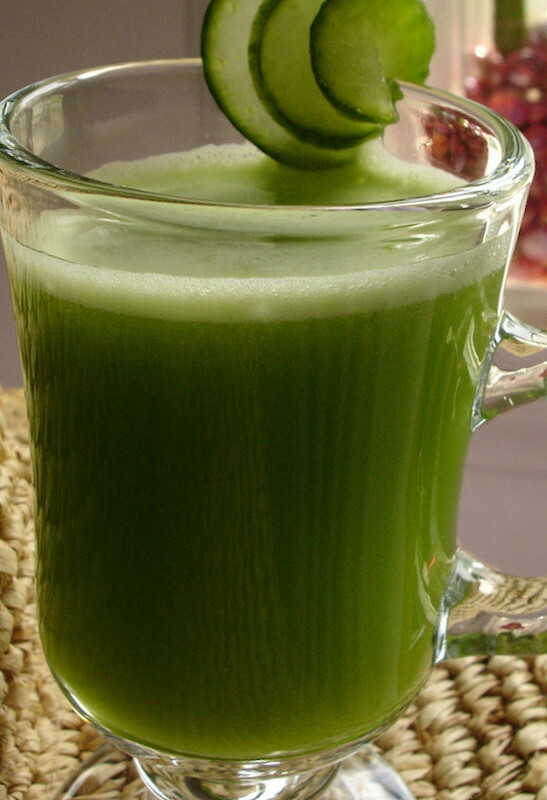 Cucumber Celery Apple Juice* – click for recipe! Take a good hard look at your weekly shopping list. How many fruits and vegetables are on there? If not very many, you’re not alone. While a recent survey found that Americans are better at it than we were five years ago, many of us still aren’t eating enough fresh fruits and vegetables. One way to introduce more fresh foods into your diet is through juicing. Freshly juiced fruits and veggies are a steadily growing trend in this country, and with the many associated health benefits it’s easy to see why. Juicing can improve your cardiovascular and heart health, detoxify your liver, improve your immune system, increase your energy levels, and more. Juicing alone won’t instantly make you healthier or drop twenty pounds, as is sometimes claimed, but it can be an important component of improving your overall health when incorporated into an active lifestyle. Did you know that juicing is nearly as healthy as eating whole fruits and vegetables?